Hello my friends! 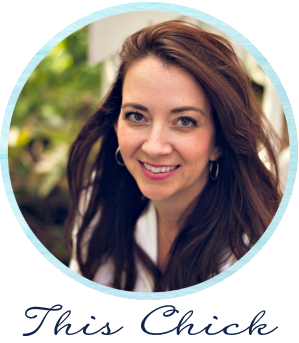 I am so excited to share this blogger with you today! I've admired her beautiful blog and home for some time -- Kris shares some great makeovers, decor ideas and DIY projects that I think you'll love. 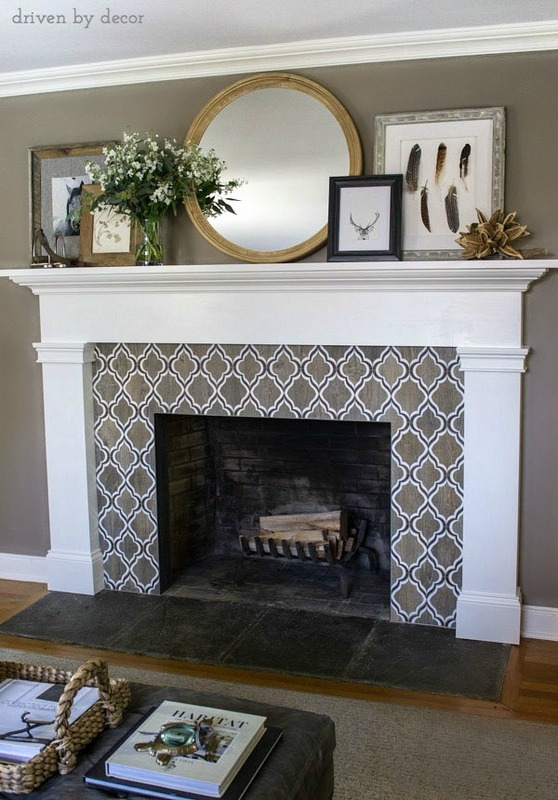 Those walls are stenciled and you have to see the before to truly appreciate the difference. The majority of the changes happened from the tile up -- no huge DIY projects needed. 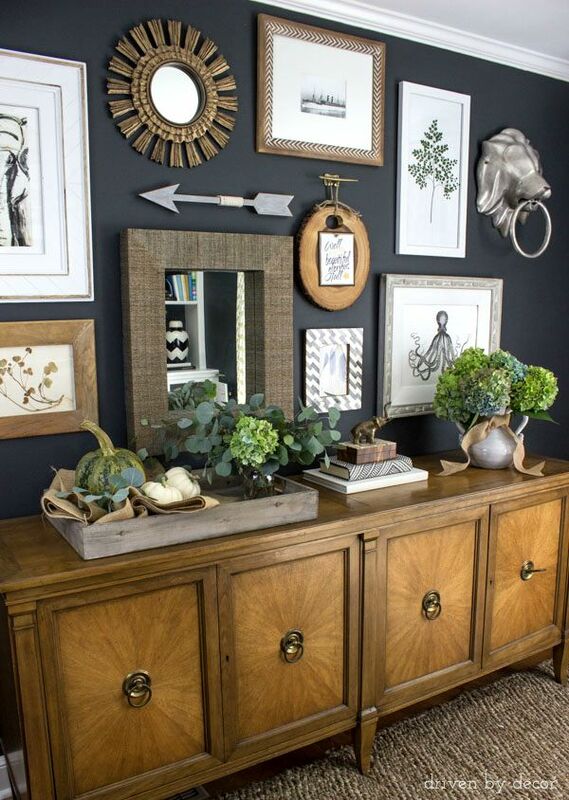 I think it's hard to get a gallery wall like this just right and I wouldn't change a thing on this one. Such a beautiful space! 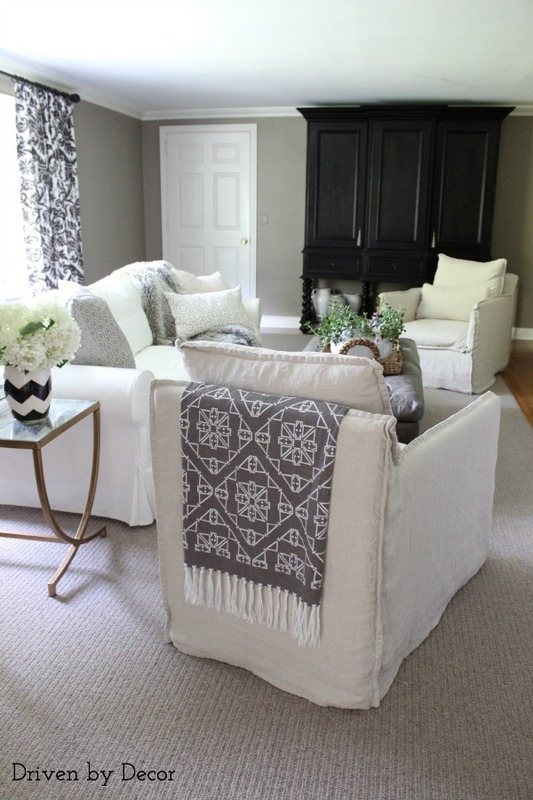 The neutral tones in here are so soothing and pretty! I suddenly need a nap. She pulls together art and accessories so well and I love her use of natural items throughout her home. Such a great idea to add some color or pattern to a space! I really like how she made over her basic closet doors too -- they look so much better and serve as an art display as well. 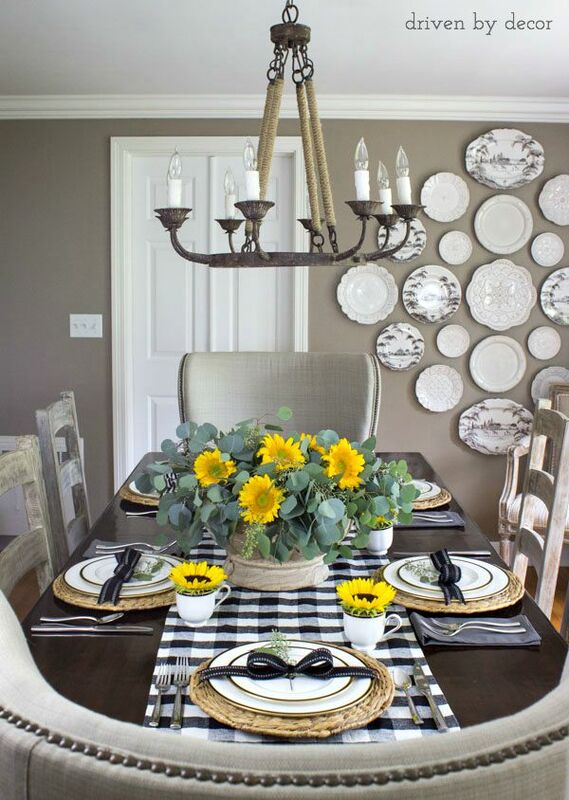 That plate wall is gorgeous! As is everything else! I'm so thrilled to share Kris with you today -- isn't her home beautiful? There's so much more I didn't share so be sure to check her out here. Have a wonderful weekend! That office wall is perfect as is the Pottery Barn bed! Going to check out her site next. Thanks for the tip, Sarah! Have a great weekend! I am beyond honored to be featured by you Sarah - thank you so very much and have a wonderful weekend! I adore Kris's style. She is one talented lady. Wow! Her home is stunning! I love how sophisticated her daughter's room looks! The whole design is beautiful! Love Kris and her design! The Taylor Swift lyric art is awesome! Great tour, thank you! She has an amzing eye for serene and welcoming at the same time. Wow! You were right...I love it! 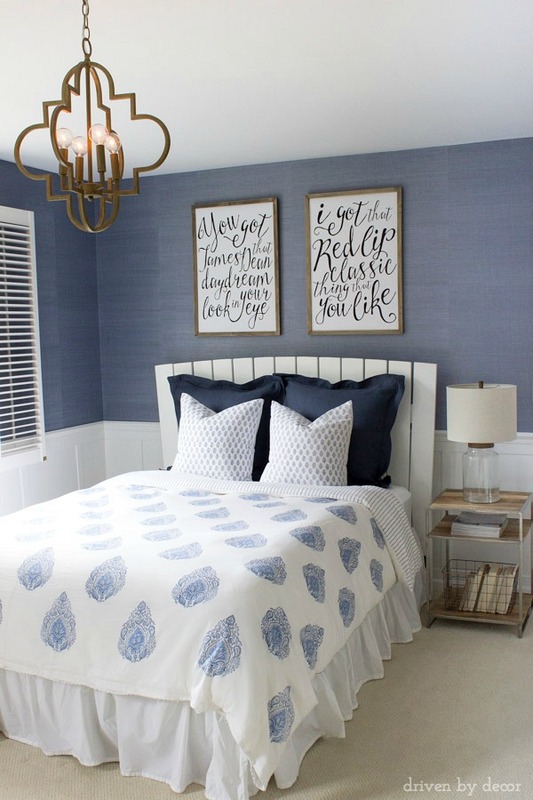 The gallery wall and the mirror over the bed are my favorite parts. I need this wall paper!!!! Great space!!! 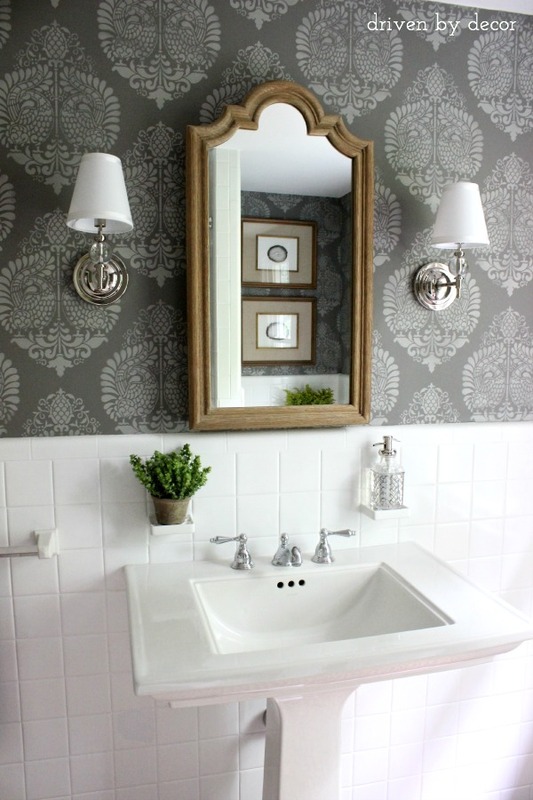 Love your home and that wall paper in the bathroom, awesome!